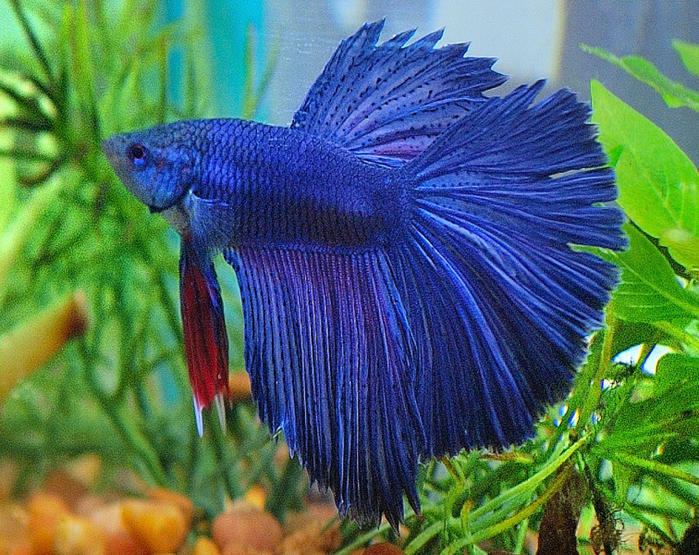 7 Betta Disease Symptoms and What to Do about Them. There are many reasons why a betta can get sick – poor water quality, bad handling, stress and a lowered immune system to name a few. Poor water quality tends to be at the top of the list, as many first time fish owners just aren’t familiar with the proper betta fish care needed for a thriving betta. However, once your betta gets sick, he depends on you to diagnose the betta disease symptoms and treat the disease quickly (5 common betta diseases) to prevent it from getting worse or killing your betta altogether. But sometimes diagnosing the disease can be difficult, especially if you’re just noticing the illness for the first time. Some betta diseases are even so harmful that they can kill the betta within weeks or days of when the fish first gets infected. Knowing the betta disease symptoms beforehand will allow you to act quickly and treat your betta before the disease spreads and becomes too fatal. Noticing that your betta is sick earlier on is crucial when treating betta diseases. The following are 7 betta disease symptoms to look out for. The betta loses his appetite. Betta fish are generally picky eaters, but if your betta all of a sudden stops eating and he was eating fine yesterday, most likely he picked up a betta disease. A loss of appetite is one of the first betta disease symptoms fish hobbyists notice before a disease becomes evident. Look at him closely for additional signs of an illnesss, like sores on the body, skin discoloration or cotton-like growth on the skin. The betta becomes lethargic and stays in one spot. If your betta isn’t moving around much, it’s a good sign that your betta is sick or will soon become sick. Check the water quality. 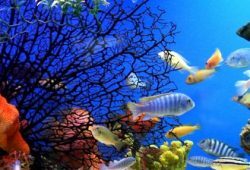 Is the aquarium water cloudy? Is there leftover food sitting at the bottom of the tank? Try doing a 50% water change and get rid of any leftover food. If you have a water testing kit, test the water as well and make sure the water maintains appropriate ammonia, nitrite, nitrate, hardness and alkinalinity levels. Lastly – examine your betta, and treat any diseases as soon as possible with the appropriate medication. Your betta starts rubbing himself against plants and nearby surroundings. 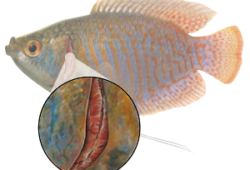 This betta disease symptom is a sure sign that your betta picked up some type of parasite. The most common parasite for betta fish is Ich, though there are other parasites as well. Make sure you know what kind of parasite is infecting your betta before you treat him. You don’t want to give him the wrong medication and make the condition worse than it was before! Quick Cure is a fast acting treatment that not only cures Ich, but other parasite infections as well. Your betta develops a cotton-like growth on his body, tail or fins. Usually characterized by yellow or white cotton-like patches, fungal infections are a common betta disease and can be treated if caught early on. But act quickly! Fungus can get deadly if left alone. PimaFix is a popular treatment for fungal infections and, speaking from personal experience, is especially effective when used in conjunction with MelaFix. The skin of your betta is discolored in odd patches or puffy – and may even be inflamed. Enlarged eyes, ulcers and odd discolored patches on the skin are betta disease symptoms generally caused by a bacterial infection, which is deadly if it’s not treated in time. Bacterial infections are caused by wounds or cuts to the skin, vast changes in water temperature, poor water quality and poor nutrition. Pimafix and Melafix can both be used to treat bacterial infections. The fins of your betta become frayed and torn. Torn or frayed fins are a direct result of fin rot and can often be caused by other fish nipping on them and aggressive tank mates looking to start a fight. However, fin rot is usually easy to get rid of if caught in the early stages and treated with Mardel Maracyn-Plus. Your betta becomes bloated, with scales sticking up like a pine cone. Sadly, this betta disease symptom is caused by Dropsy, a common freshwater fish disease that causes the body to swell up and puff out. Dropsy can be caused by a fungal infection, poor water quality and kidney, heart or liver failure. Most often, a betta with dropsy won’t survive because, by the time his body puffs out, the infection is usually to severe to cure. To treat dropsy, some people recommend salt therapy, though, even then, your betta may still not survive. Remember: The best treatment for any betta fish disease is prevention. 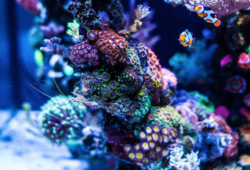 If you can prevent the disease from infecting your fish in the first place, you can prevent a lot of stress and wasted money later on down the road. So, always make sure your fish is getting the nutrition he needs to stay healthy and the water maintains superb quality by feeding your betta a variety of foods and changing 25% of the tank water every week or two. You should also think about doing a full tank cleaning (don’t use soap!) every couple of months.